I read this article and found it very interesting, thought it might be something for you. The article is called A Little Cluck Therapy and is located at https://www.chickencoopguides.com/cluck-therapy/. I read an article recently about a three year old autistic boy in Florida who has therapy chickens. I’ve had a few people email me about therapy chickens the past couple of months so I’ve done some looking into it. Most people think of therapy animals as being dogs or cats, maybe even horses. But in recent years chickens have become an incredibly popular therapy animal for people with a number of different disorders from autism, to blindness, to seizures. Most of us already know how much our personal flocks can lift our spirits just by looking at them. Chickens are hilarious! They have little personalities and do some really silly and just downright stupid things. They chase each other around, chase us around, maybe sometimes chase the dog, too. Nothing makes me laugh more than to see our great dane run away from a flock of chickens. That’s some therapy, there. But aside from their entertainment value, chickens have been found to be especially helpful to autistic and asperger’s kids. The little boy in Florida I mentioned previously, his parents have said that the hens have helped bring him ‘out of his shell’ metaphorically speaking. He makes eye contact now, his personality has calmed down, and he laughs and smiles more easily than before. The chickens, which he calls his ‘ducks’, run around the yard with him, and let him cuddle them. His parents apparently picked very docile breeds. I think I spotted a Faverolle in one of the pictures somewhere but maybe I’m wrong. They’re a wonderful breed for therapy. This boy and others like him aren’t the only ones who have been benefiting lately from therapy chickens. Since chickendiapers.com rolled out and invented the chicken diaper, it seems to have really expanded the places chickens are going these days. Many therapists are starting to take chickens into nursing homes to cheer up elderly folks. They’re going into hospital burn wards. They’re going into children’s centers where the majority of the kids there are in foster care. 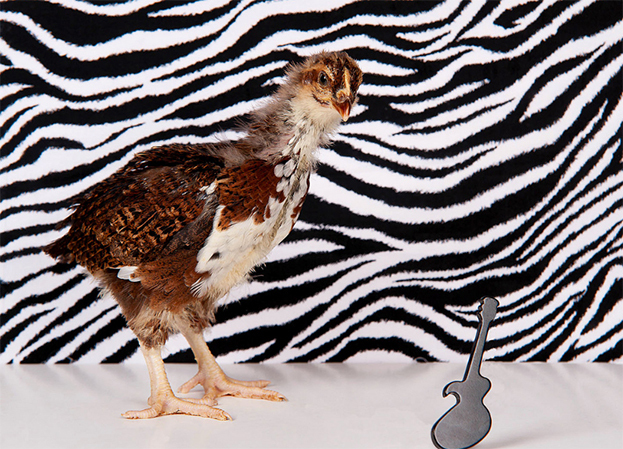 So apparently the world is catching on to something we already know: chickens rock!